Like the United States, Japan, too, has a long history of comics. Manga didn’t take off in popularity until Osamu Tezuka entered the picture, but just as well, cartooning has always existed in the country. One of the early stars in manga is Norakuro. Norakuro is a black dog enlisted in the “Mokenrentai” (Fierce Dog Brigade), an Imperial army of dogs fighting in a war against the enemy Monkey Army. This war-time comic first appeared in 1931 in Shonen Club (Boy’s Club) magazine and was clearly based on the Japanese Imperial Army of the time. His creator, Suihō Tagawa (1899-1989), served in the army and used his experience as a basis for his strip. Norakuro is a stray black-and-white dog in an army of white dogs who blundered his way while being a Private Second-Class. As pointed out by Aaron Herald Skabelun in his book Empire of Dogs: Canines, Japan, and the Making of the Modern Imperial World, Norakuro defied the Japanese expectation that the army is brave; he and his men got captured, surrendered to the enemy Monkey army (a not-so-subtle representation of the Chinese army) and cried, which goes against the Imperial Army’s supposed image. But in spite of that, he would escape and use the information obtained to capture the Monkey troops. Throughout the comic’s 10 year run Norakuro was promoted from Private to Colonel. 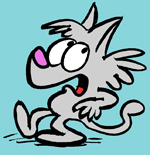 Design-wise, the character was influenced by Felix the Cat. Tagawa was an avid watcher of the Pat Sullivan films, which had distribution in Japan at the time. 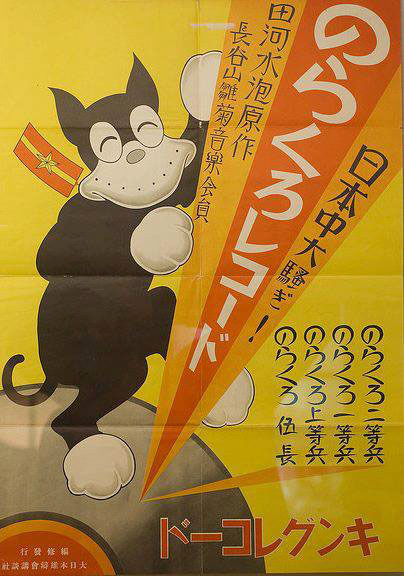 Norakuro was one of the the first biggest cartoon star in Japan. According to Skabelun, the circulation of the Shonen Club went up at the peak of the comic’s run, its success attributed to the comic. It had profound influence on Machiko Hasegawa, who went on to create Sazae-San. Osamu Tezuka also cited Tagawa as one of his influences. Tezuka would go on to popularize the comic medium further in Japan. Even though the regular comic run ended in 1941, this was not the end of Norakuro. Far from it. As expected, Norakuro was animated numerous times. 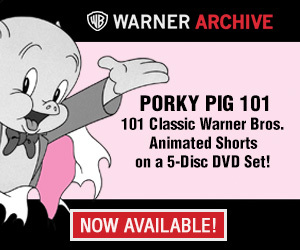 Three short films were produced between 1933 and 1935. The first film was directed by Yasuji Murata (1896-1966), with the latter two by Mitsuyo Seo (1911-2010). Both men were pioneers in the Japanese animation field, having made some of the earliest anime to be shown in mainstream. These films were crude and primitive, but they exhibit the source material’s appeal. One can compare these to Pat Sullivan’s Felix the Cat films that were being made a decade before. A TV anime was later made several decades later. 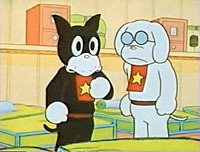 Produced by TCJ Doga Center (now Eiken), the 26 episode series, which ran on Fuji Television from October 5, 1970 to March 29, 1971, were relatively faithful to the comics. One big change, however, was the addition of the army nurse Miko, whom Norakuro had a crush on. 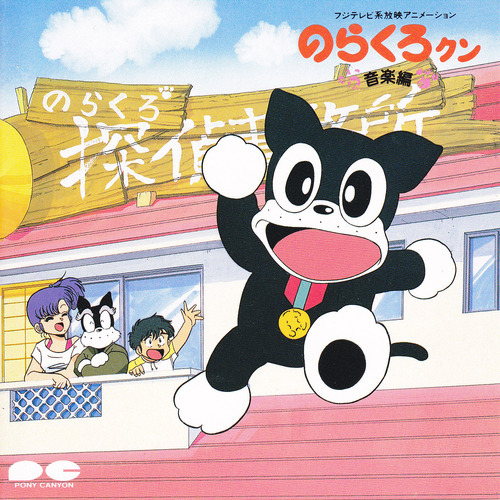 For this series, Norakuro was voiced by Nobuyo Ooyama, who would later become noted for voicing Doraemon. Click Here to see the first episode of the 1970 series. A second TV series was made in the 1980s. Called Norakuro Kun, this is the Japanese equivalent of the “spinoff babies” craze that American television had in the 1980s with the likes of “Flintstones Kids” and “Muppet Babies”. Here, the original Norakuro, now retired, decides to open a detective agency, with his grandson, Norakuro-Kun, as his assistant. The new show focuses on the grandson, with his grandfather (dubbed ‘ Norayama Kuroyoshi’ in order to differentiate with the younger star) in the supporting role. They rent a house with the human family. Norakuro-Kun befriended the brother and sister and the two go solve crime together. The new show aired from October 4, 1987 to October 2, 1988 on Fuji Television for 50 episodes. It was produced by Studio Pierrot, known to anime fans for producing Urusei Yatsura and Naruto. These days Norakuro is obscure, popularity surpassed by other manga and anime that was introduced since its run. But its influence in Japan can’t be downplayed. There’s a Norakuro Museum, located in Koto-ku, Tokyo, which people can visit for free. as I recall norakuro translates as stray black. I’ve heard of Norakuro before, but not its 1980s spinoff. The design of the Felix-like dog seems really out of place alongside generic looking anime kids. It was nice to have something ‘different’ even then when that look wasn’t in vogue anymore. As an obnoxious teenager in the 90’s, I had an alarm clock I got for a Christmas gift from Spencer’s Gifts which looked very much the same design-wise with a swap in colors, a change of species and a different piece of audio used, but thought I’d share that info here for anyone who may remember this! It’s kinda fun thinking of the things that came over in diluted ways from Japan we never think about. I was first exposed to the character through the 80’s series which aired on Cartoon Network Japan for a while. Wikipedia says he was once the mascot of the Physical Training School of the Japan Self Defense Force. Wondering if some humorless authority figure helped end Norakuro’s run as Japan went to war with the US. The tone, while not exactly subversive, is cheerfully disrespectful of the military. Then again, maybe Norakuro’s creator or editors decided a war-based kid’s comic was no longer funny or appropriate. In any case, the timing suggests something happened. Thanks for this overview of Norakuro’s history, Charles! I always thought he was a cat, kinda disappointed that he’s really a dog. Love those 1930s Japanese cartoons. They really animated the characters then. Some of the dance and walk animation in the 1980s music video were rhythmic and were nice cycles, but don’t have the appeal of the 30s stuff. The big square feet that Norakuro had in the 1930s were drawn a lot smaller by the 1980s. I love the xylophone plinks when Norakuro walks in the 1930s cartoon. Was the Eagle a recurring character in the cartoons and comic books of the time? From what I’ve seen of Norakuro, the eagle wasn’t a recurring thing. i have the LP record and it has some really nice music. It’d be great to see more episodes of the 1970s series. I’d be interested on how the character of Miko would be written.